Nanocrystalline magnetite powders were synthesized by an electrocoagulation technique, in which an electric current was passed across two plate electrodes of. Nov 9, 2015 - superhydrophobic surface has received much attention due to their .... ature using Theta Attension optical tensiometer (KSV instrument) with. Apr 13, 2016 -  L.E. Shoemaker, in: E.A. Loria (Ed. ), Superalloys 718, 625, 706 ... 1 avenue ClÂ´ement Ader, BP 40109, Futuroscope, 86961 Chasseneuil,. Yeh et al., 2004; Tong et al., 2005b; Tung et al., 2007; Lin &. Tsai, 2011). 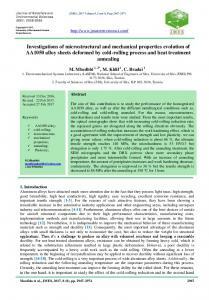 ..... Yeh J W, Chen Y L, Lin S J, and Chen S K (2007) High-entropy alloys-a new. one from Pallone and Liu, show that the effect of nanometric inclusions in the alumina matrix, is the inhibition of grain .... (John Wiley & Sons New York, 1996). Co., Japan) and nanometric zirconia (ZrO2, 99.9% purity, primary particle mean size 60-100 nm and specific surface area 20-30 m²/g, density 5.89 g/cm³, Nanostructured Materials Inc.). A suspension with the nanometric ZrO2 powder was prepared, through the traditional ballmilling method (ZrO2 balls with 3 mm diameter) using 0.5% wt of deflocculant PABA in alcoholic medium, keeping the weight ratio of balls/powder at 4:1. After ball milling for 12 h, the resultant slurry was separated from milling media and reserved. Simultaneously, it was prepared another suspension with Al2O3, using alcoholic medium with 0.2 wt% of PABA, keeping the weight ratio of balls-powder at 5:1 and milling time of 1 h. The Al2O3 suspension was kept under stirring, and a calculated amount of the ZrO2 suspension was added to it by dripping, in order to get the volume ratio of 15% ZrO2/Al2O3. This final suspension was mixed in conventional ball milling for 22 h. After that there was added 0.5 wt% of oleic acid and the mixing continued for 2 h. The resulting mixture was dried at room temperature, under air flow and stirring of open mill flask. After that, the dried mixture was separated from milling media using a 80-mesh sieve. The powders were pressed in the shape of 10 mm diameter cylinders, with approximately 5 mm high, using uniaxial pressing at 50 MPa. Thereafter, the samples were isostatically pressed at 200 MPa and geometric green density of the samples was calculated. The samples were sintered under air at the temperatures of 1000, 1100, 1200, 1300, 1400, 1500 and 1600ºC for 2 h, with a constant heating rate of 15ºC/min (Furnace Lindberg/Blue). After sintering, it was determined the apparent density by Archimedes‘ method. The theoretical density of the composite was calculated by the mixture rule, using the values of 3.99 g/cm³ for alumina and 5.89 g/cm³ for zirconia. X-ray diffractometry was performed in the green sample and in the sintered samples using a Shimadzu diffractometer, model XRD-6000, with scanning rate of 2º/min and 2θ ranging from 5 to 90º. The samples were fractured transversely and fracture surfaces were analyzed by high resolution scanninc electron microscopy in a Philips – XL30-FEG microscope. Grain size was determined by linear method with the software IMAGEJ, using the images obtained from SEM (4 images for each sintering temperature). Results and discussion X-ray diffractometry analysis of the samples (green and sintered at 1200ºC, 1300ºC, 1400ºC, 1500ºC and 1600ºC for 2 h) are shown in Fig. 1 from (a) to (f), respectively. From those diffractograms it can be observed that, in the green sample (Fig. 1(a)), there are only alumina and monoclinic zirconia phases. On the other hand, in sintered samples it can be noticed the presence of tetragonal zirconia, indicating that this phase got retained in the material after sintering. The mean green relative density measured value was 56.1% of theoretical density (TD). This result is very important, since green density below 40% to 45% TD makes difficult to attain high density after sintering . It can be related the high values of green density to a better particle packing, where nanometric zirconia particles would occupy the spaces between larger alumina particles . 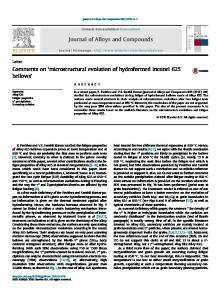 The evolution of relative density and grain size with sintering temperature of the Al2O315%ZrO2 composite is shown at Fig. 2. It can be seen that, up to 1200ºC, low densification and grain growth occurs. Above 1200ºC, the densities of the samples increase, attaining 98,3% TD at 1400ºC. Small grain growth is observed up to sintering at 1300ºC, but for higher temperatures, density increase is smaller and grain growth is larger. The grain size attained at 1600ºC is 1327 nm. According to Skadan and collaborators , in their sintering model, decrease of densification rate is associated with the final stage of sintering. In this case, grain growth is observed when temperature is above 1400ºC, corresponding to a decrease in densification rate. Fig. 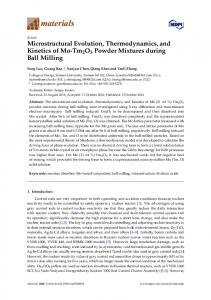 2 – Relation between relative density, alumina grain size and sintering temperature of Al2O3-15% ZrO2. In Fig. 3 (a) and (b), it is found the comparison between grain size and relative density, and between relative density and temperature, in the cases of pure alumina and alumina with 15 vol% zirconia, respectively. In Fig. 3(a), it can be noticed that, for apparent density until 90%TD, pure alumina presents only a little difference on density and grain size, comparing to the composite. However, when the density is high (higher than 95% TD), pure alumina has a large grain growth and the composite has not such grain growth. It probably is due to the influence of zirconia on the alumina matrix. Alumina initially presented a particle mean size of 200 nm and, at 1500ºC, pure alumina presented approximately a mean grain size of 1800 nm, whilst for the composite this size was 1300 nm at 1600ºC. This behavior is proven by Fig. 3(b), in which it can be seen that densification of the composite samples begins at higher temperatures than those for pure alumina. (a) (b) Fig. 3 – Comparison between pure alumina and alumina with addition of 15 vol% zirconia: (a) grain size versus relative density; (b) relative density versus temperature. 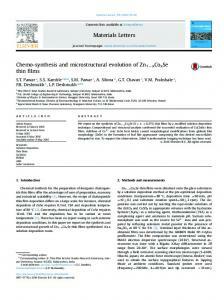 These results show that zirconia particles inhibit the densification and retard the matrix grain growth  in final stage of sintering. This grain growth inhibition occurs due to the effect of pinning of grain boundaries, which is associated with the location of small zirconia particles in grain boundaries and in triple junctions of alumina grains. The micrographs of fracture surfaces of green samples and sintered at the temperatures from 1000ºC to 1600ºC for 2 h are presented in Fig. 4 (a)-(h). It is observed that, up to 1200ºC, there are few changes in the microstructure, and at this temperature it is possible to observe the neck growth in the contact between the particles, which characterizes the initial stage of sintering. At 1300ºC (Fig. 4(c)), the microstructure has faceted grains and intergranular fracture, which indicates that sintering is already at a more advanced stage, probably in its intermediate stage. This result can be proven by Fig. 2, in which it can be seen that, from this temperature, a more effective grain growth occurs and increase in density. As reported above, even with nanometric dimensions of zirconia particles, matrix densification is inhibited with increase of these particles [2,6,16], consequently being necessary a higher sintering temperature. Fig. 5 (a) and (b) show the micrographs of the sample sintered at 1600ºC. In Fig. 5(a) it can be observed that zirconia (clearer regions) is uniformly distributed in alumina matrix, demonstrating that the processing route was effective in order to avoid the formation of agglomerates of fine particles in the matrix, because the agglomerates make more difficult the sintering process . At Fig. 5(b) it is observed that inclusions of zirconia are located at grain boundaries, including triple points, resulting in a intergranular-type nanocomposite. Other works, using different quantities of zirconia of tetragonal zirconia, observed the same behavior of the inclusions [2,5,16], and the inclusions in these positions favor the pinning effect of alumina grain boundaries [2,16], inhibiting grain growth in the matrix, as shown in Fig. 3. Fig. 4 – Micrographs of the samples: (a) green, and sintered at: (b) 1000ºC, (c) 1100°C, (d) 1200°C, (e) 1300°C, (f) 1400°C, (g) 1500°C e (h) 1600°C. (a) (b) Fig. 5 – Micrographs using backscattered electrons from the sample sintered at 1600ºC. It is also seen, through the presented micrographs, that zirconia has a smaller size (536 nm at 1600ºC) than the size of original particles (60 to 100 nm). This may indicate that, even well dispersed in the alumina matrix, zirconia particles, due to the added quantity, have agglomerated, densified and grown during sintering process. 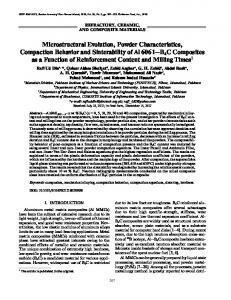 Conclusion The microstructural evolution of composites showed that zirconia inclusions retard densification, making necessary a higher sintering temperature when compared with pure alumina. Zirconia inclusions positioned at grain boundaries and at triple points enable to retard grain growth of the matrix, and the composite has a smaller grain size when compared with that of pure alumina. Acknowledgements Authors acknowledge financial support from CAPES - Coordenação de Aperfeiçoamento de Pessoal de Nível Superior. 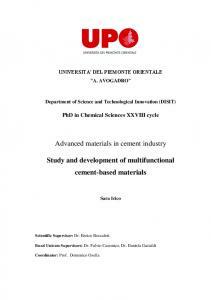 References  N. Ichinose: Introduction to fine ceramics Applications in engineering. (John Wiley & Sons Japan, 1987). J.J. Pierri et al. : Cerâmica Vol. 51 (2005), p. 8. G.J. 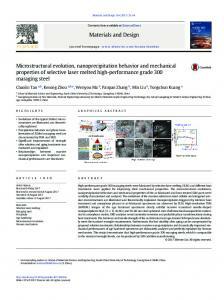 Liu et al. : Mater. Research Bull. Vol. 33 (2) (1998), p. 281. K. Niihara: Ceramic Society of Japan Vol. 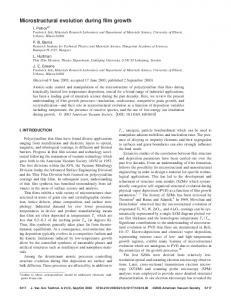 99 (10) (1991), p. 974. P.G. Rao et al. : Scripta Materialia Vol. 48 (2003), p. 437. W.H. 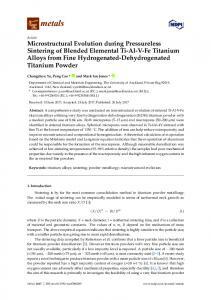 Tuan et al. : J. of the European Ceramic Society Vol. 22 (2002), p. 2827. P.F. Becher and G.C. Wei: J. Am. Ceram. Soc. Vol. 67 (12) (1984), p. C267. A.G. Evans and A.H. Heuer: J. Am. Ceram. Soc. Vol. 63 (1980), p.241. D. Gutknecht, et al. : Journal of the European Society Vol. 27 (2007), p.1547. 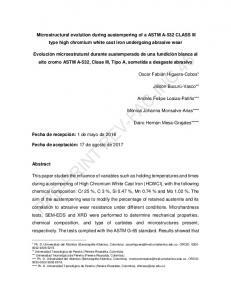 J. Anusavice: Clasificación de los materiales de reconstrucción dental. 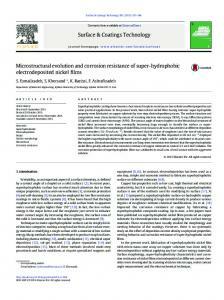 (Phillips’ Science of Dental Materials. 11ed. España: SA Génova, 2004). 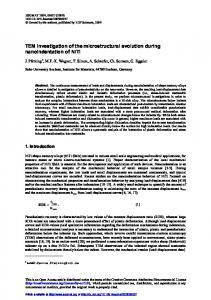 J.R. Nelly and I. Denry: Dental Materials Vol. 24 (2008), p. 289. J.J. Pierri et al. 15º Congresso Brasileiro de Engenharia e Ciências dos Materiais (CBECIMAT). Natal, 09-13 novembro 2002. Procceding... Natal 2002. (RN), p. 1446. K.L. Silva: Obtenção de nanocompósito de Alumina-Zircônia para aplicação como Biomateriais. Mestrado (Dissertação). Campinas, 2011. Universidade Estadual de Campinas (UNICAMP/FEM). (SP)  R.M. German: Sintering theory and practice. (John Wiley & Sons New York, 1996). G. Skandan, M. Hahn, M. Roddy and W.R. Cannon: J. Am. Ceram. Soc Vol. 77 (1994), p. 1706. F.A.T. Guimarães et al. : Ceramics International Vol. 35 (2009), p. 741. 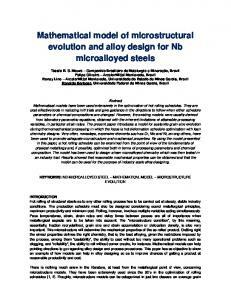 Report "microstructural evolution of alumina-zirconia ..."